We know aviators love checklists, and for good reason! That’s about how long it takes to learn and apply something that will make a difference in your business! Each of these Tip Sheets is a great way to quickly solve a problem, make an improvement, or make a difference in your marketing or sales situation! For MRO facilities or Part 145 Repair Stations – They say the money in aviation is made on the ground, but whether you service 172s or Boeing BBJs, you need to do effective marketing and sales. How do you get more planes lined up for maintenance, upgrades, and services? 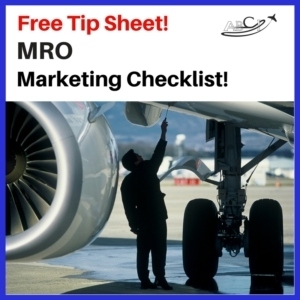 Click here to download the MRO Checklist! 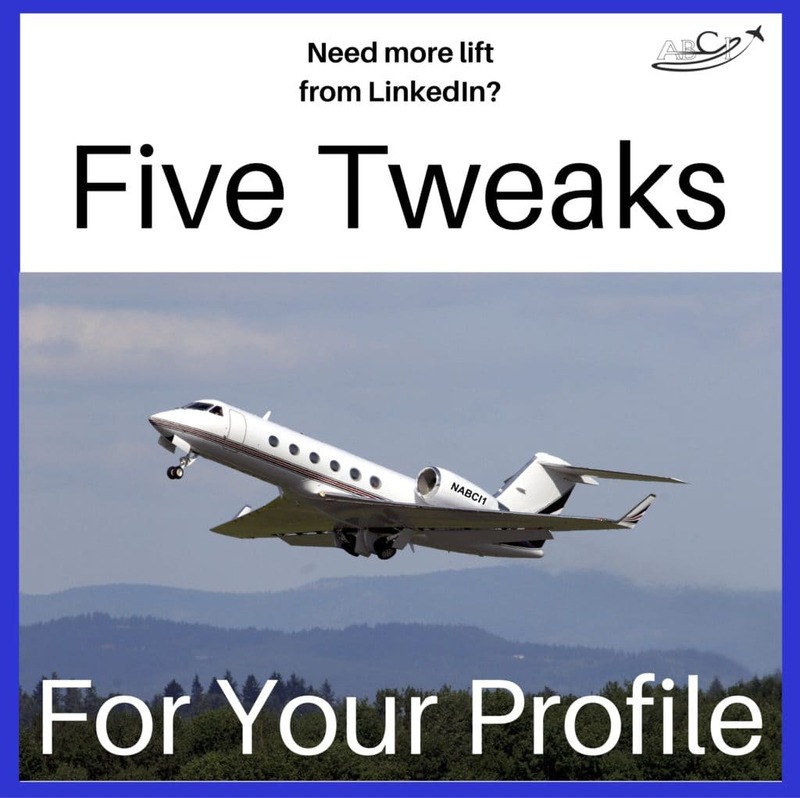 When you’re in charge of marketing and sales for an FBO, your job is to get more people in the building and more planes in your parking spaces, preferably queued up for gas, ground transportation and other services. Of course, there are always some things you can control and some things you can’t. Here are eight things you CAN control that will make a big difference! 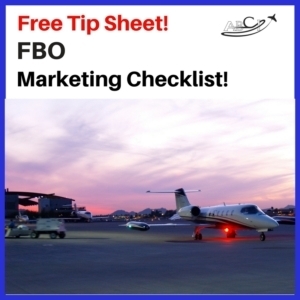 Click here to download the FBO Checklist! Now is a great time for aviation companies that offer charter services to ramp up their marketing. Fuel costs are lower. Many people are holding on to their older planes rather than selling them. Airline inconveniences are pushing consumers away from the airline experience. Here are the marketing activities we recommend specifically for charter companies. 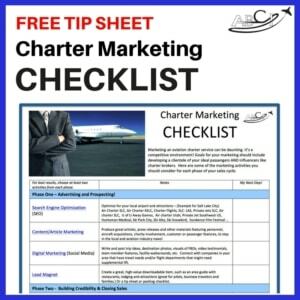 Click here to download the Charter Marketing Checklist! Many aviation professionals get really frustrated with website service providers – because they don’t communicate well or set expectations clearly. This checklist should help you get a website that actually works for sales and marketing and provides the best value for your money! 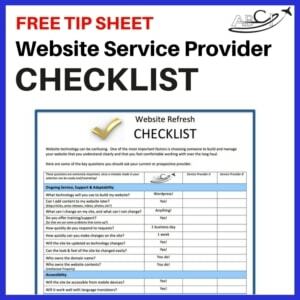 Click here to download the Website Service Provider Checklist! Press Releases have historically been the meat-and-potatoes of marketing and PR for the aviation industry. And yet many aviation companies struggle with coming up with great ideas for regular press releases. 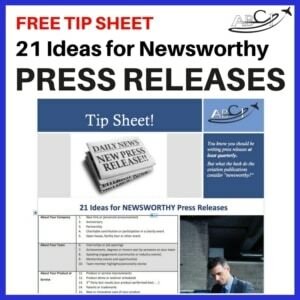 Here are 21 great ideas for NEWSWORTHY press releases to improve your visibility in the industry press! Click here for the Press Release Idea Tip Sheet! 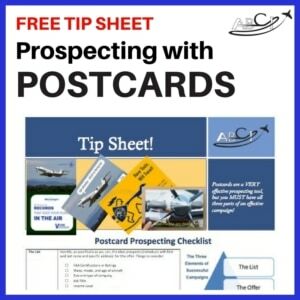 Click here for our Tip Sheet on Prospecting with Postcards! How is branding different for aviation companies? We have smaller, more specific sets of possible customers. We have exclusive products. And we don’t have the design budget of a Coke or Nike – although we’re expected to look that good! 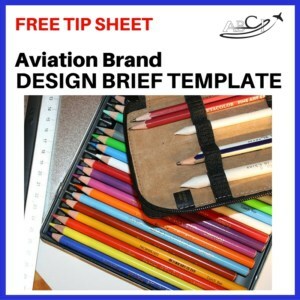 Click here for the Branding Design Brief Worksheet! 73% of decisionmakers look you up before they agree on meet with you, and most often, they use Google and/or LinkedIn! LinkedIn is the most respected social media in the aviation industry, so it’s important to be there, and it’s important to look good! Download this Free Tip Sheet. Many sales professionals dread making sales calls. And many aviation executives dread receiving sales calls. What’s often worse is when the caller seems unprepared. 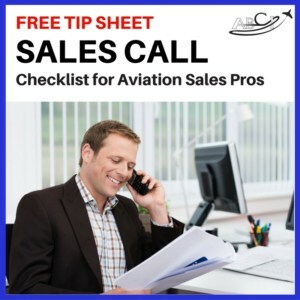 Use our Sales Call Checklist, fifteen minutes and one sheet of paper before EVERY SINGLE sales call. Your callers, and your sales numbers, will appreciate it! Click here for the Sales Call Checklist! How do you plan events that your customers and prospects will love? By attending to the details! They’re all here in this checklist. 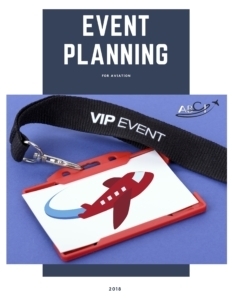 Events are a great way to show your attention to detail and level of service. 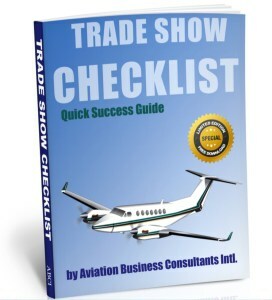 Trade Shows are the traditional royalty of aviation marketing. But they get more expensive and competitive every year! Here’s how to make the most out of a trade show appearance. Getting lots of visitors to your website, but they’re not buying anything? Inbound marketing (where customers come to you, instead of you having to beat the bushes for them!) depends on high-value lead magnets – brochures, tip sheets and other things that your customer actually WANTS! 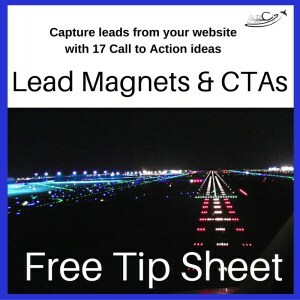 Our tip sheet includes 17 great ideas for lead magnets that get results for aviation companies. Here are 17 ways to further the relationship. You know that testimonials can be far more influential than any content you write about your own products or services. But even HAPPY customers don’t always remember to provide testimonials. Most successful companies don’t get testimonials by accident, they employ one or more of these strategies. 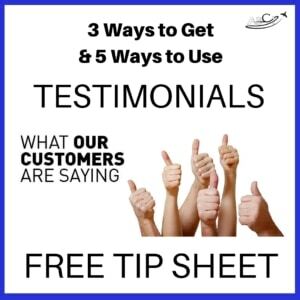 Click here to to download the Testimonials Tip Sheet! Is it getting all the traffic it should be from the search engines? Are there any errors preventing search engines and visitors from finding your products or services? 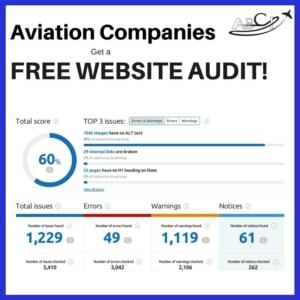 Click here for a free Aviation Website Audit! 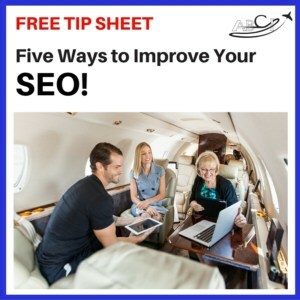 Five things you can do immediately to improve your search engine results, and fifteen places you can get aviation-specific links for more traffic! Click here to download the SEO Tip Sheet! It can be hard to determine how to set the best possible price. Are you scaring potential customers away with sticker shock? Or is your price just right? Our tip sheet will help you find out! 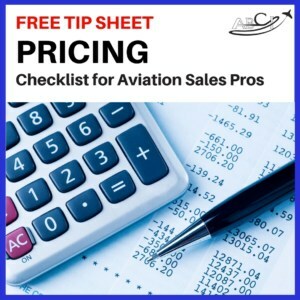 Click here to download our Pricing Tip Sheet. 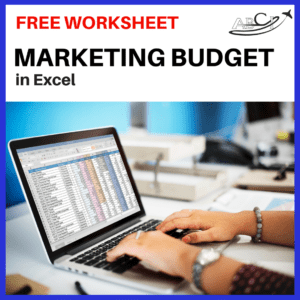 Click here to download our Budget Worksheet in Microsoft Excel. Your “house list” of qualified prospects is your second most important item in your business, right after your bank account! Get people who are interested in your product or service to “raise their hand” to indicate interest. 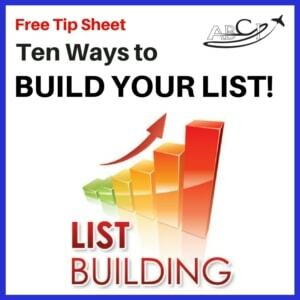 Click here to download our List Building Worksheet.